Right now our picture of the atom: protons (+1) and neutrons (()) in nucleus and electrons (-1) in region outside the nucleus. 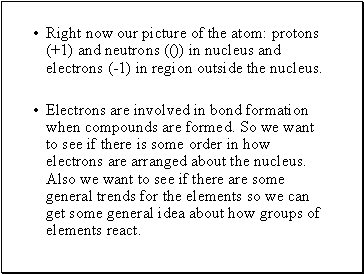 Electrons are involved in bond formation when compounds are formed. 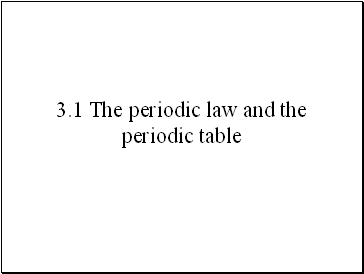 So we want to see if there is some order in how electrons are arranged about the nucleus. Also we want to see if there are some general trends for the elements so we can get some general idea about how groups of elements react. 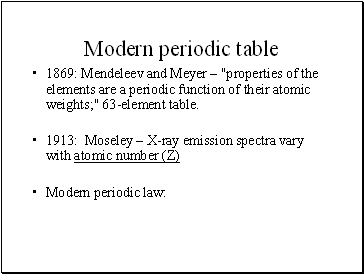 1869: Mendeleev and Meyer – "properties of the elements are a periodic function of their atomic weights;" 63-element table. 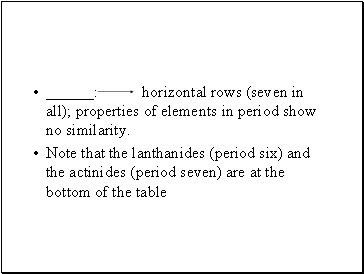 : horizontal rows (seven in all); properties of elements in period show no similarity. _: (families) are the columns of elements. 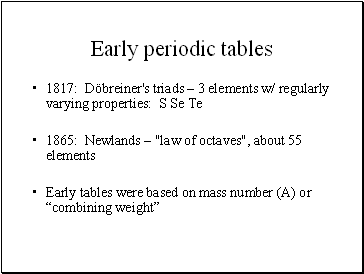 The elements in the groups have similar chemical properties and predictable trends in physical properties. 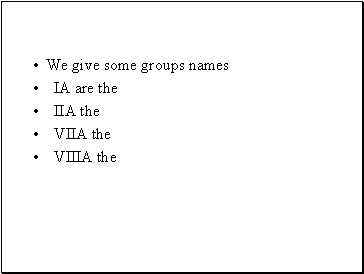 Groups also have labels. 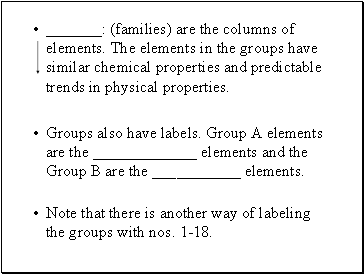 Group A elements are the _ elements and the Group B are the _ elements. 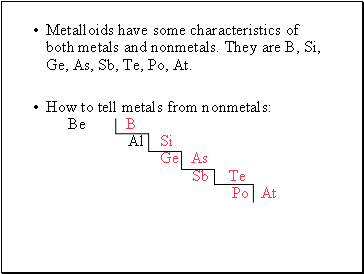 Note that there is another way of labeling the groups with nos. 1-18. 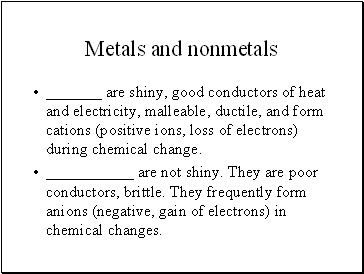 _ are shiny, good conductors of heat and electricity, malleable, ductile, and form cations (positive ions, loss of electrons) during chemical change. _ are not shiny. They are poor conductors, brittle. 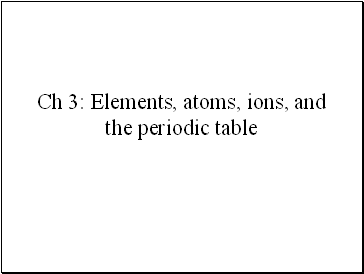 They frequently form anions (negative, gain of electrons) in chemical changes. What to do with all this info?